Battersby, M., Tolchard, B., Scurrah, M., & Thomas, L. (2006). Suicide ideation and behavior in people with pathological gambling attending a treatment service. International Journal of Mental Health and Addiction, 4, 233–246. Grinols, E. L., & Mustard, D. B. (2006). 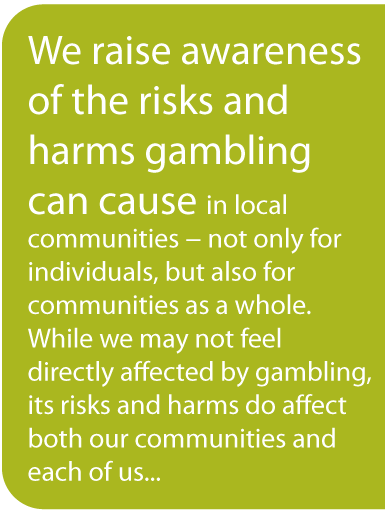 Casinos, crime, and community costs. Review of Economics and Statistics, 88(1), 28-45. New Brunswick Department of Health. (2012). Warning Signs. Retrieved from http://www.gnb.ca/0378/WarningSigns-e.asp. Rosenthal, R. J., & Lesieur, H. R. (1992). Self-reported withdrawal symptoms and pathological gambling. The American Journal on Addictions, 1(2), 150-154. Crockford, D. N., & el-Guebaly, N. (1998). 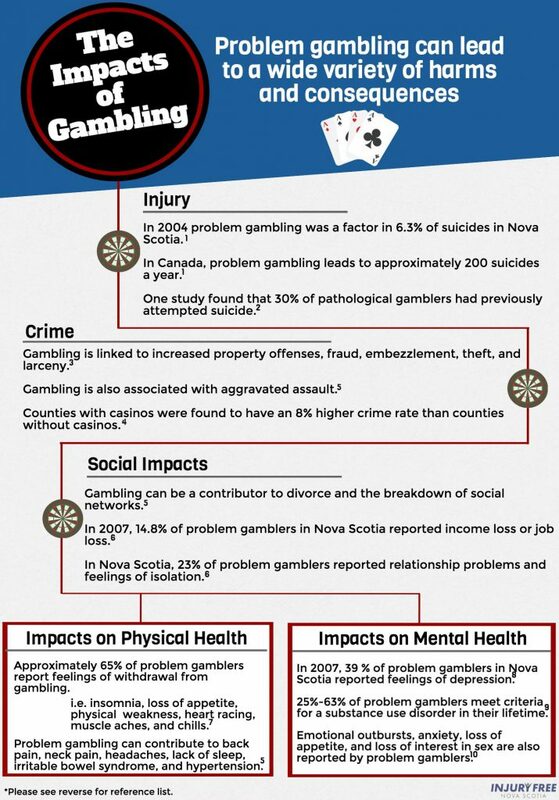 Psychiatric comorbidity in pathological gambling: a critical review. Canadian Journal of Psychiatry, 43(1), 43-50.